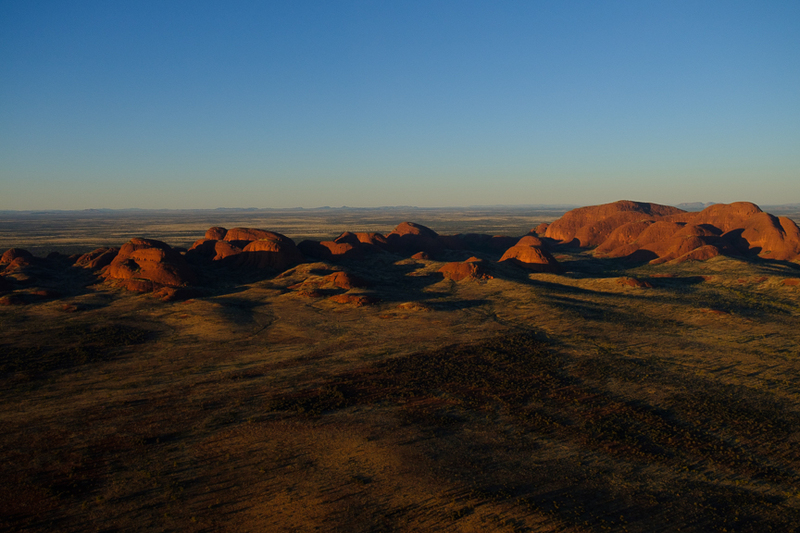 Uluru and Kata-Tjuta from the air. It's big and it's bald and it's beautiful. I'm pretty happy with how these turned out despite being shot through the windows. The price of chartering a helicopter so I could fly with the doors off was a bit too expensive when I'm not shooting commercially. So I was happy to do the touristy thing. I was up early thinking I'd grab a cup of tea from reception as they must put the tea out for the early morning bus pick up. I even had my gold coin ready. But when I got there, no tea! I asked at the counter and was told by a lovely young man that they only leave the urn out until the restaurant opens out the back (despite not being able to just buy a cup of tea from there). Missed it by 5 minutes. He took pity on me and found a cup and a teabag I could take to the communal kitchen and I was so very grateful to him.